Whether you’re just starting to learn to handle a golf club or have been playing golf in Branson for a couple of years, it’s important that you know some tips on golf swing. If playing golf is one of your hobbies during your free time or want to become a pro, you will in no doubt have to deal with the swing. It’s unfortunate that many golfers who are playing golf in Branson think that to make their game better is to buy expensive clubs or play more often. But when you really want to play golf better, try to learn these 5 golf swing tips. A good golfer should know that power comes from the body, not the arms. Try to learn to power the club with your body instead of your arms and hands, put the club behind the ball at address, with your body in a dead-stop position. Some players swing with their elbow flying out, while others keep it in, proving that it's possible to hit great shots with either way. The flying right elbow position favors a fade ballflight while a tucked right elbow promotes a draw. If you struggle with slicing or have always wanted to develop a power-rich draw, then the right elbow may hold the answer. An open face at the point of contact can cause a slice. And so is a faulty swing path, even if your clubface is square to the target at impact. Slicers' swing paths tend to come too much outside in (hookers, vice versa). Golfers need a path that comes just slightly from the inside. Try the Box Drill. Take the top half of a golf ball box and stand it on its side. Align the box parallel to your target line. Golf newbies have problems hitting crisp iron shots due to two fatal flaws. First, the takeaway tends to be too low to the ground, which delays the proper hinging of the wrists until too late in the backswing. Second, in a misguided effort to create power, the arms tend to swing too far in the backswing. This causes a breakdown in posture and usually leads to a reverse pivot. These flaws cause mis-hits and a lack of distance and control. 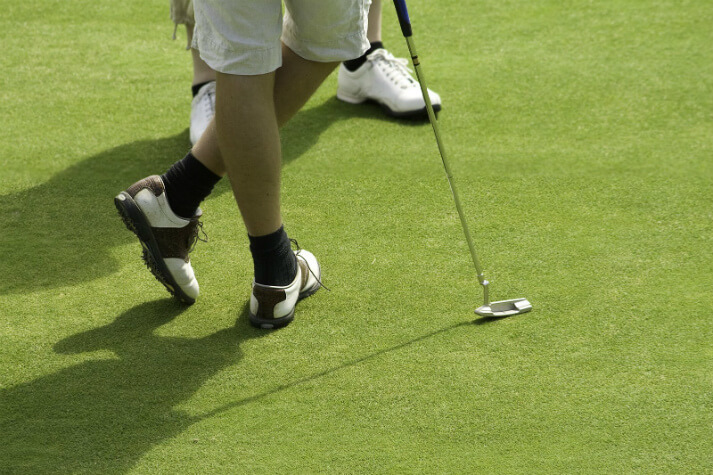 "Flippiness" occurs if your body gets too far in front of the golf ball. When this happens, your club will drastically lag, usually with an open face. When you want to fix the flip, set up to an impact bag, push the clubhead into the bag and set your body into a good impact position. The lead arm and shaft should form one straight, vertical line with the head back. Be sure your lead leg is braced and that your hips are turned slightly open. For golf beginners who are playing golf in Branson, it’s important for you to learn golf swing tips as they can help make you succeed in your game.